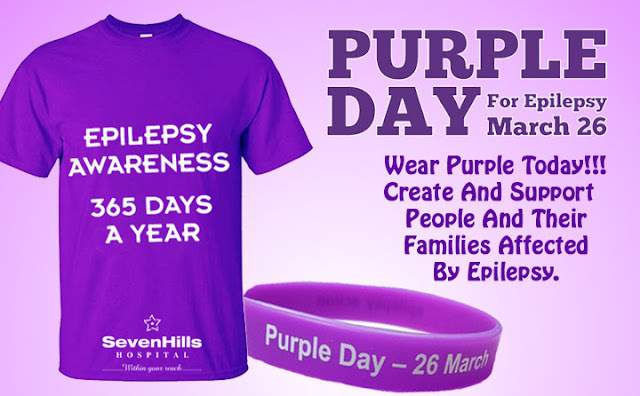 65 million people around the world who have epilepsy. 4-10 out of every 1,000 of people on earth who live with active seizures at any one time. 10 million persons suffer from epilepsy in India which is about 1% of our population. 1/3rd with epilepsy who live with uncontrollable seizures because no available treatment works for them. In 6 out of 10 people cause of epilepsy unknown. 4th most common neurological disorder only after a migraine, stroke, and Alzheimer's disease occurs more frequently. Also called as "seizure disorders"
Let's do some Q and A session and get to know EPILEPSY better…. 1. Question: - Epilepsy can be cured? Answer: - There is no known cure for epilepsy. However, modern treatment methods can achieve full control of seizures in a majority of cases. 2. Question: -Epilepsy is a lifelong disorder? Answer:- Not necessarily, many persons with epilepsy will not have seizures or require medication all of their lives. 3. Question: -Persons with epilepsy are called epileptics? Answer:- Persons with epilepsy are individuals who experience chronic, recurring seizures and prefer being described as a "person with epilepsy." 4. Question: -Epilepsy is a psychological condition? Answer:- Epilepsy is a medical condition. Seizures are the result of an excessive and disorderly discharge of electrical energy in the brain. 5. Question: -You have to be born with epilepsy??? Answer:-Epilepsy often first appears in children and young adults, although anyone can develop epilepsy at any time during their life. 6. Question: You can't prevent epilepsy? Answer:- While no specific cause can be pinpointed, in some cases, severe head injuries experienced in falling from a bicycle or sustained in an automobile accident, have been identified. 7. Questions: - You should put an object, such as a spoon, in the mouth of a person having a seizure to keep them from swallowing their tongue? Answer:- Nothing should be placed in the person's mouth. While it is not physically possible to swallow one's tongue, if the tongue is relaxed, it could block the breathing passage. Therefore, the person should be turned on his side so the tongue falls away and to the side. 8. Question: -Epilepsy is rare? Answer:- Approximately 10 million people in India have epilepsy and statistics show that 1 in 26 people will develop Epilepsy in their lifetime. 9. Question: - Epilepsy is contagious. Answer:- Epilepsy is NOT contagious. If you find anybody getting a seizure getting a seizure do refer them to the nearest hospital at the earliest. Public perception and misunderstanding of epilepsy causes challenge often worse than the seizure. So help us in creating awareness.